Enslaved founding member Ivar Bjørnson is our guest this week. 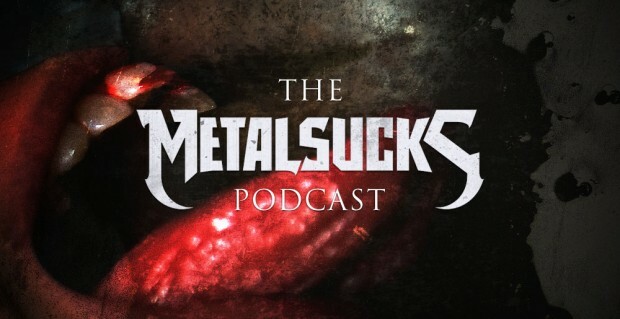 The legendary progressive black metal band’s new record In Times hits shelves in a few weeks, and Chuck and Godless had a chance to talk to him about his young children, how close the band has been to splitting up, bouncing back and solidifying a new line-up, the keys to a good relationship in a band and his “marriage” to Enslaved bassist Grutle Kjellson for the last 25 years. We also discuss the metal events coming to SXSW — including the MetalSucks South By South Death showcase — and we go in depth on a recent post by Sergeant D about Papa Roach going Djent. Does this signify the coming end of djent? Will the pop-metal titans close the door on another kind of metal just like they did for Nu Metal? Or should we be happy the mainstream finally discovered something new to incorporate?